The Question: I saw these wildflowers in the central California Valley near Aptos. 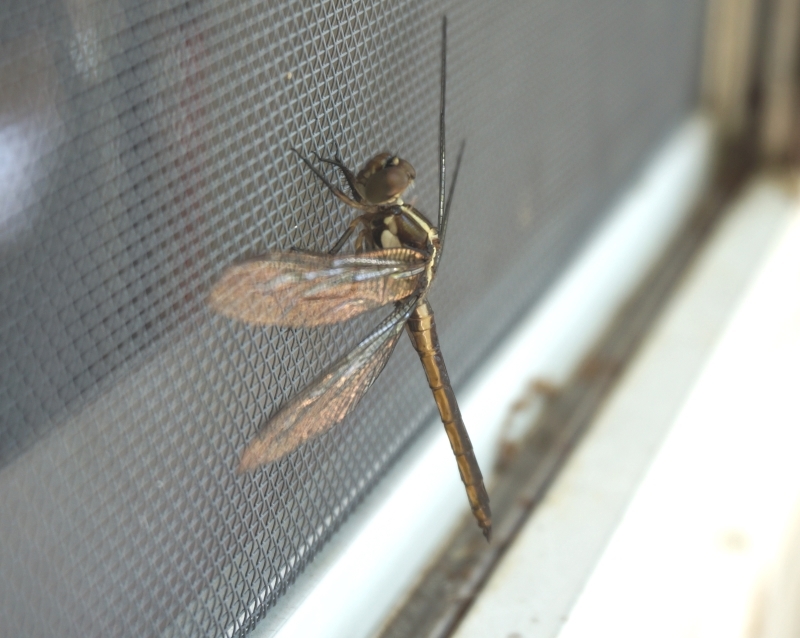 They are about the size of a quarter. What are they? The Short Answer: Your flowers are definitely one of several species of poppies in the genus Eschscholzia found in California. 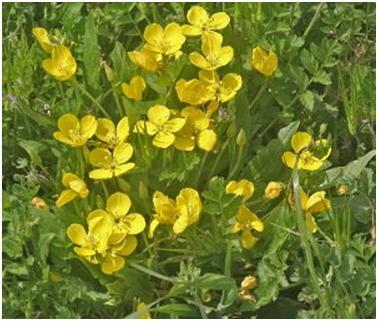 Most probably they are Eschscholzia lobbii, also known as the frying pan poppy and Lobb’s goldenpoppy. However, according to Curtis Clark, expert on Eschscholzia poppies at the California State Polytechnic University in Pomona, Aptos is outside the normal range of the frying pan poppy. 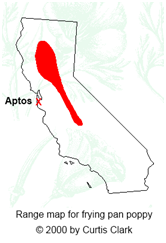 “Although there are specimens of E. lobbii outside my range map, none are anywhere close to Santa Cruz County. Looking at the photo, it does resemble E. lobbii (and is definitely not E. californica), but another possibility is E. hypecoides. There are diagnostic features of the foliage (E. lobbii has long pointed tips to the leaf divisions, and the leaves are predominately basal, whereas E. hypecoides has relatively blunt, short tips and the flowering stems are leafy), but I am not able to see those in the photo. More Information: There are twelve species of Eschscholzia poppies, which are in the same family (Papaveraceae) as the more famous Opium poppy, Papaver somniferum. The Eschscholzia poppies are found throughout California and the southwestern U.S. down into Mexico and Central America. 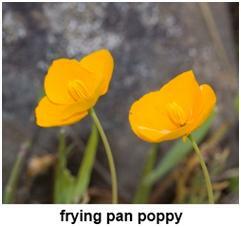 Both the frying pan poppy and the more widespread California poppy have also become common garden flowers. To tell the California poppy from all the others, look for a rim on the receptacle, which is the part of the flower stalk that flares out where it attaches to the flower. 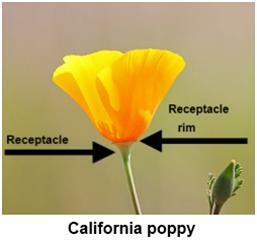 As shown in this photo, the California poppy has a distinct rim under the flower. In frying pans and all the other Eschscholzia poppies this rim is very small or absent. By the way, while the Eschscholzia poppies don’t contain the substance we call opium, they have their own psychoactive chemicals, so it’s best not to ingest them, in case you were wondering. There is a wealth of information about all the Eschscholzia poppies to be found at Dr. Curtis Clark’s website: http://www.csupomona.edu/~jcclark/poppy/index.html. Thanks: Thanks to Briar and Champion at www.flowersforums.com who responded quickly to my question asking if this was E. lobbii, and to Dr. Curtis for his help. 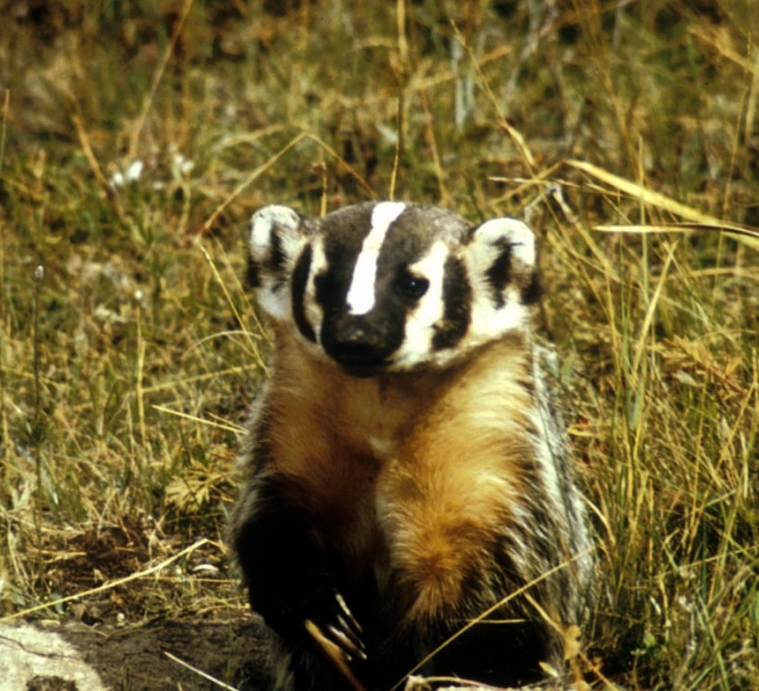 Cite this article as: Pelletier, TC. (April 29, 2012). What are these yellow flowers? 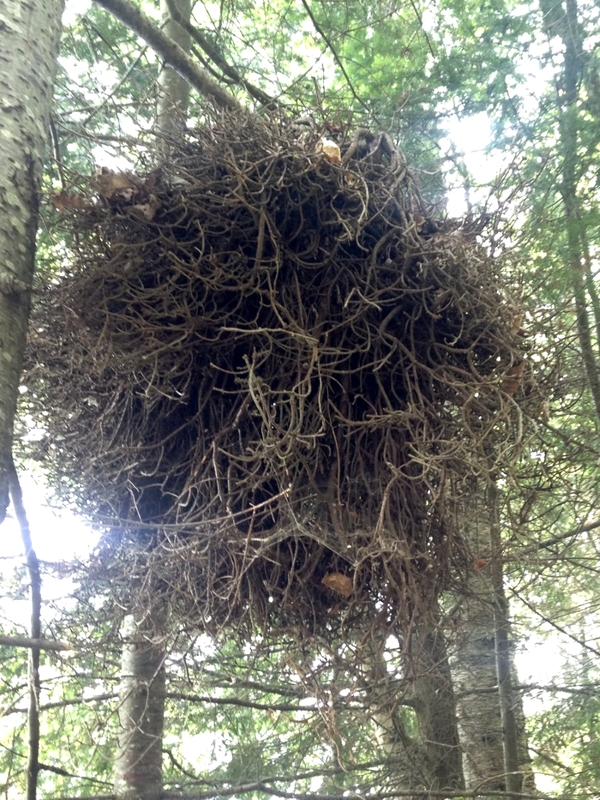 Retrieved from http://askanaturalist.com/what-are-these-yellow-flowers/ on April 21, 2019. 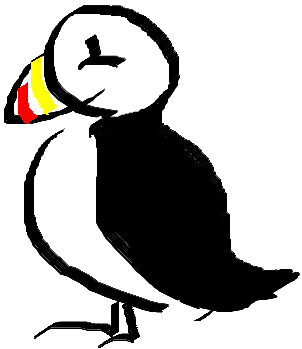 Previous PostAre There Ducks in Antarctica?Next PostIs this spider venomous?